Alongside moving household effects, many of our customers want to take their own vehicles abroad. 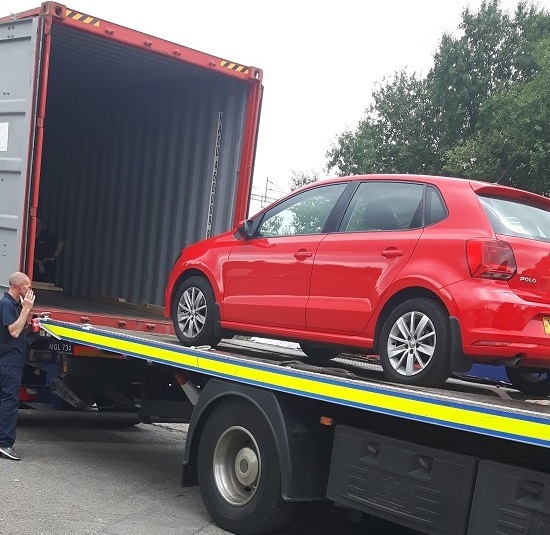 Some customers opt for their vehicle to be shipped within a shared or a sole-use container, in which the vehicle is shipped along with either another vehicle or alongside other items. The vehicle is always securely loaded to protect itself and the other items in the container. This method also means that the vehicle can be delivered to your new home. Alternatively, other customers opt for a method of shipment known as ‘Roll On Roll Off’. This involves a vehicle being driven onto the ship at the port of origin and then secured ‘wind-and-watertight’ on the vessel. After arrival at the destination country port the vehicle will then be driven off and await customs clearance. This provides a cost effective method of shipping a car, but does require that the shipper of the vehicle be present to collect the car before the vessel arrives. Our company are members of the British Association of Removers and work to recognized quality standards, ensuring that your move to Cyprus will be handled carefully and professionally from beginning to end. Membership of BAR and the FIDI organisation guarantees that your money and your move are protected. Financial security, operational competence, worldwide support and redress facilities guarantee you complete peace of mind. We’d be delighted to speak to you about shipping a vehicle and/or household effects to Cyprus if you have any further questions. Please contact sales@burkebros.co.uk or call 01902 714555.